Description: A low plant (2-4" tall) with finely dissected, feathery leaves resembling yarrow in feel but with a different branching pattern. The flowers are compound and the flower head is round and densely packed with many tube-shaped, tiny flowers. The plant is so named because the flowers are said to smell like pineapples. I think it smells like chamomile,which is not surprising, considering how similar the two plants are. Habitat: This plant grows well in disturbed soil. It is often found in yards and around other human spaces. 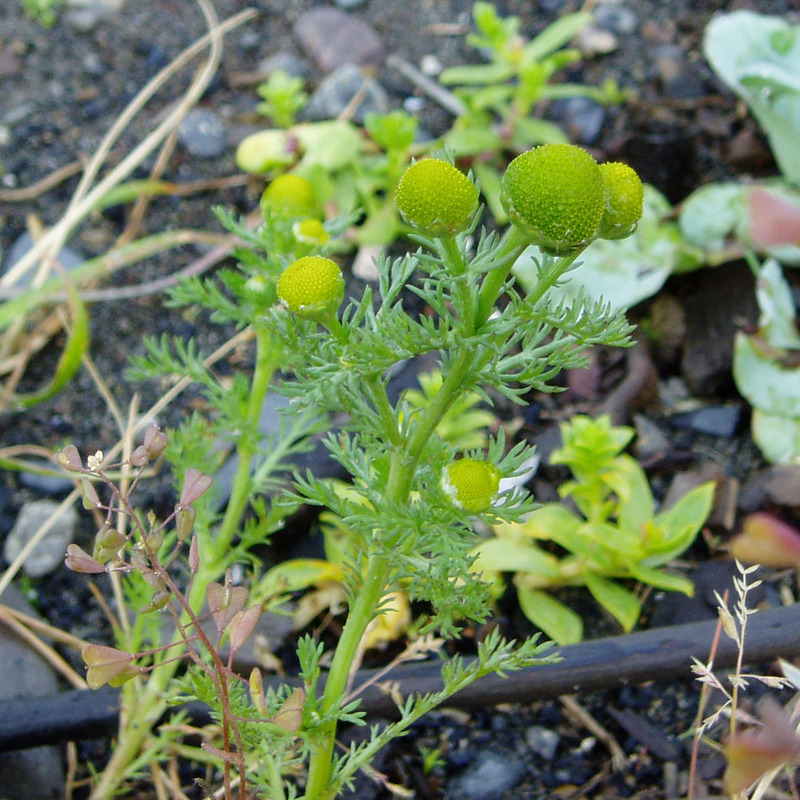 Other Notes: This plant is closely related to chamomile, and the flowers look very similar.